Photo taken at Laguna Seca Ranch in South Texas February 1, 2019. Nikon D850, Nikon 300mm f/2.8 lens, Nikon 1.4 TCIII, 1/1250 sec at f/5.6, ISO 800. Better detail if you click on the image. 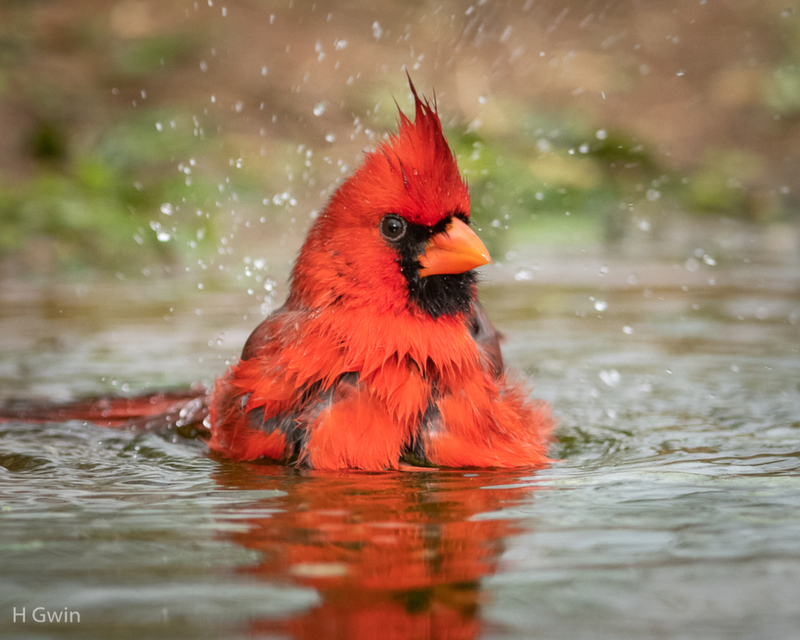 A beautiful image of the Cardinal bathing, Gene. I love the low perspective and the close-in view of the head. The water drops in the air behind the bird are a great story telling element and imply the motion taking place. Very nice image! Great low angle and head turn/pose. Love the flying spray. Nice bathing image with nice color and background. Splish! Splash! he was taking a bath! Beautiful capture of the bathing behaviour, Gene.